Starting your own business blog provides a number of important benefits in helping to market your business online and create a dialogue between new and existing customers alike. Before starting out with your own business blog, here are a number of points of advice to consider. A blog is a great platform to show people that your company knows what it’s talking about. However you will need to research your topics and provide well written, informative articles that are interesting to read. A blog is an excellent way of informing your customers or clients about current events or trends within your industry and developing your reputation as a leader in your field. This may in turn give rise to building a number of opportunities to connect with other influential industry members and build a network. Reach out to well known business figures, vendors, suppliers and existing customers to see if they are willing to contribute an interview or guest post. In doing so you are providing the both of you a great opportunity to extend your reach online. You can use you blog to highlight specific products and services, providing additional insight into what makes them unique and appropriate for your customers. This allows you to go beyond the standard product page found within a web site, and allows you to describe how existing customers are utilising your products and services to their full benefit. You can even build affiliate links to other products and services providing you a way to bring an additional amount of income. By providing regular updates about content related to your business and it’s products and services you will also be potentially increasing your search engine rankings. Google and other search engines like to see regular updates to your site as this indicates it may be reliable source of valuable information to users of their search engine. With careful placement of specific keywords and select internal linking building, your blog can become a fantastic tool to improving your search presence. The first step in starting a blog is to find inspiration from other blogs that are similar to the one that you wish to develop. Find other blogs that you think set a high standard along with those that aren’t so good. 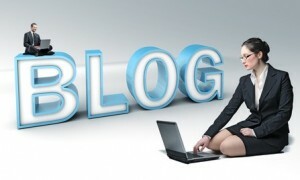 Compare the differences and try to determine what sets the successful blogs apart. 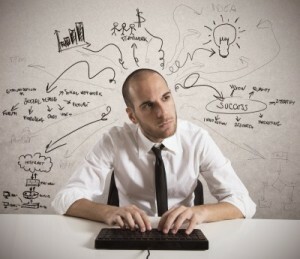 All of this will help you to determine what you need to do to create your own successful blog. 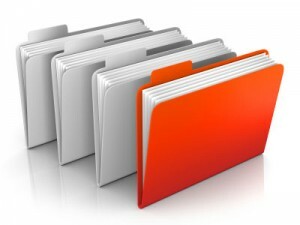 As you review these blogs ask yourself what you like about them and make some notes. Be specific about what your observations are, and highlight the things that these sites are doing that could improve upon or use for your own business blog. Popular blogs have a clearly defined audience in mind that they want to write to. If not able to determine ahead of time who your key audience is and what there interests are then it’s quite likely no one will return. Who is going to read your blog? What will be the outcome for your readers? How will this content help or improve their current business practises? Always find ways to help your readers, rather than just trying to sell to them. People can always determine this from the content you write, and they will be more motivated to return if you are offering to help, rather than just providing the hard sell. Always tailor the content so that it adheres to your target audience’s interests and focus on delivering useful information to your readers regardless of whether they are current or potential customers. At this stage you should have a good idea about why your blog exists, who it will help, and what benefits it will provide your readers and what it will do to for your business. Select around 7-10 categories that focus on relevant topics of discussion for your business or industry. Keep in mind your audience definition when you do this. Remember, you want your articles to solve the most important problems that your current and prospective customers face. If you are stumped for category ideas, think about topics people would read about in a magazine for your business. Using this as a starting point start to build out a list of categories that you know you and your staff have the knowledge and experience to write about for a long time. The key to a successful blog is to create a regular stream of articles that people can read. Review the other blogs that you have based your site on and see how often they are generating new articles. Does their schedule seem manageable to you? Your schedule should be regular enough so that your readers don’t forget about your blog entirely, but not so often that it prevents you from writing well researched and written content. Short publishing schedules can lead to articles being rushed out, with little attention to the structure or quality of the content being made. In reality there’s no one set frequency that works for every business. Just look to setting a reasonable schedule that you can follow at least to start with. This can always be increased at a later stage when you feel that things are up and running. 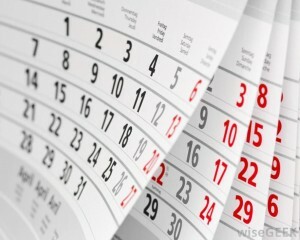 Once you have a posting schedule figured out, put together a scheduling calendar. This will help to incorporate all of your categories, seasonal/holiday content and any important events that related to your business.